The above prices are subject to an additional $360 for taxes/fees levied on flights that occur as part of the tour. The internal airfares ARE included (any exceptions are listed in red below), but we list the taxes separately on your invoice as they are beyond our control and can change at any time. Due to the nature of internal flights and hotels that require larger than usual deposits, this tour requires a $1500 deposit upon reservation with an additional pre-payment of $1000 per person in March 2019. Once the tour is 'guaranteed,' these deposits are non-refundable/non-transferrable. This tour may require a mandatory single supplement charge of $1422 if you join our share program and we are unable to pair you. This tour will be led by senior Tour Leader, Jonathan Hodgson. Join our first Mozambique, Malawi & Zambia adventure and experience places where the annual number of foreign visitors is measured in hundred instead of tens of thousands. From Gorongosa National Park, one of Africa's newest wildlife protection success stories, to the historic UNESCO World Heritage Site of Mozambique Island, one time capital of Portuguese East Africa, we will travel up the length of Mozambique. Dubbed 'The Warm Heart of Africa' due to the legendary welcome extended to all who visit, Malawi is a small country with a big heart and an even bigger range of incredible attractions. Malawi boasts plenty of national parks providing a haven for a wide variety of wildlife including crocodiles, lions, elephants, hippos and even leopard. With all of this exceptional culture, natural scenery and friendliness on offer, this unique African country is enchanting enough to captivate even the most jaded traveller. 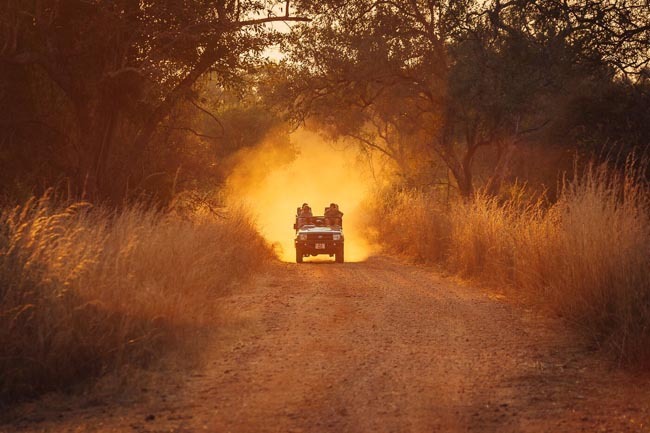 Zambia, once known as Northern Rhodesia, offers visitors an authentic African experience complete with a variety of fascinating cultural activities, and an abundance of indigenous wildlife, which finds refuge in Zambia’s vast national parks. Maputo (previously called Lourenco Marques) is the sprawling capital of Mozambique with a population of about two million people and a large harbour. Under Portuguese influence, Lourenzo Marques became one of Africa's most beautiful and fashionable cities with an impressive skyline of tall buildings and a cosmopolitan Portuguese/African atmosphere. We will visit the Praca, the star-shaped structure in the centre of the plaza that holds the remains of Mozambique's revolutionary and post-independence heroes. The most important landmark is the Fort of Nossa Senhora da Conceiao (Our Lady of Conception), which was the nucleus of the original settlement. Another imposing building is the Central Railway Station, an enormous structure looking more like a palace for kings than a siding for commuters. We also visit the Central Market and Museum of Natural History. An interesting and instructive aspect of Maputo is its public art, largely focused on revolutionary themes and often expressed as a mural. Many of the city's murals were painted following independence from Portugal. This new period was marked by spontaneity, and many colourful and complex murals were painted, the most famous of which is the 95m (285 ft) long mural opposite the Praca dos Herois Mocambicanos, commemorating the Revolution. We also include a walking tour through Mafalala Bairro, which focuses on exploring the area’s rich historical and cultural roots. It includes a stop at a local curandeiro (healer) and possibly a traditional dance performance. This morning we fly from Maputo north to Beira from where we transfer by road to Gorongosa National Park. The rehabilitation of Gorongosa National Park in Central Mozambique represents one of the great conservation opportunities in the world today. Gorongosa is a region of high species diversity and ecological features found nowhere else. The 4067 square kilometer Park is located at the southern end of the Great East African Rift Valley. The park includes the valley floor and parts of surrounding plateaus. Rivers originating on nearby 1862-meter Mount Gorongosa water the plain. Gorongosa National Park offers something for everyone interested in African wildlife and spectacular scenery. 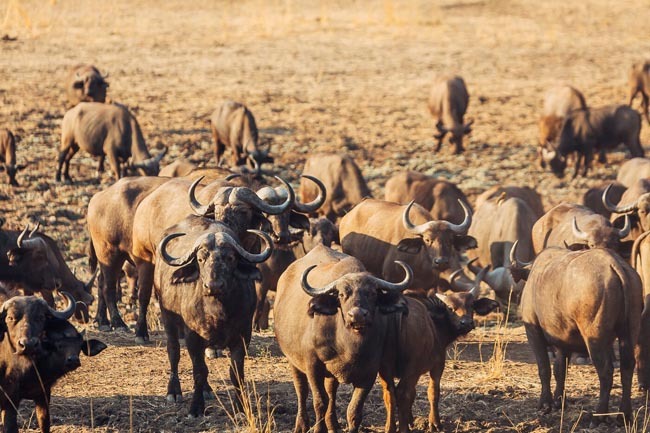 There is lion, elephant, buffalo, and many kinds of antelope, with frequent sightings of sable, impala, oribi, bushbuck, reedbuck, kudu, nyala, waterbuck, and (less frequently) zebra, hartebeest and eland. Lake Urema and its waterways support healthy populations of crocodiles and hippos. Trained guides take us on game-viewing drives, traversing various ecosystems, including floodplains, forest, and lowland savanna. 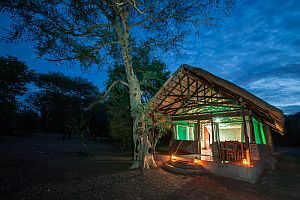 Overnight at Gorongosa National Park. We have an early morning game drive followed by a walk and boat ride to the community of Vinho. It is a 30-45 minutes walk to the Pungue River, with some birding along the way. At the Pungue River there will be a short trip in a small boat and along the way we will greet many of the park's employees. We will also visit the new school and hospital that has been recently built in the community. Today we drive back to Beira to connect with tomorrow's flight to central Mozambique. 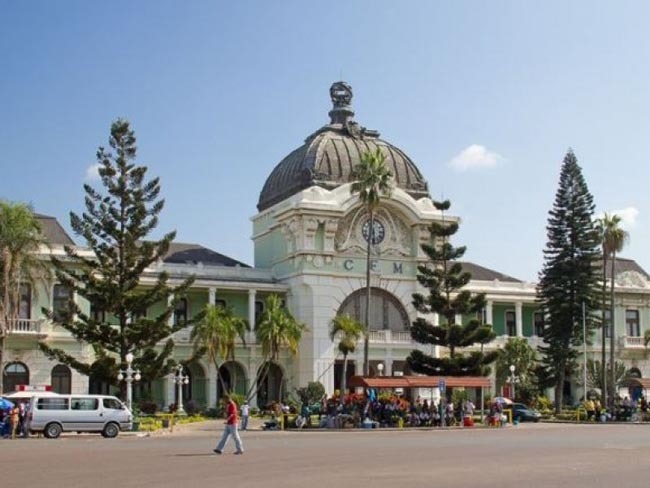 Beira is Mozambique's second largest city and an important port. Known as the 'heart of Mozambique' it is situated halfway up the coast in Sofala province at the mouth of the Pungoe River. Although run down and neglected, the buildings have a Mediterranean style and the infrastructure of the city is being re-established after years of neglect and abuse. Travel time-permitting, we may be able to have a panoramic look at Beira before settling in for the night. This morning we fly to Nampula in northern Mozambique and then travel by road +/- three hours east to Ilha de Mozambique (Mozambique Island), a World Heritage site. Prior to 1898, this was the capital of colonial Portuguese East Africa. With its rich history and sandy beaches, the island is one of Mozambique's fastest growing tourist destinations. The island was a major Arab port and boat building in the years before Vasco da Gama visited in 1498. The name of the island is derived from Musa Al Big, an Arab trader who first visited the island and later lived there. 1This name was subsequently taken to the mainland country which is modern-day Mozambique, and the island was renamed Ilha de Mocambique (Island of Mozambique). The Portuguese established a port and naval base in 1507 and built the Chapel of Nossa Senhora de Baluarte in 1522. 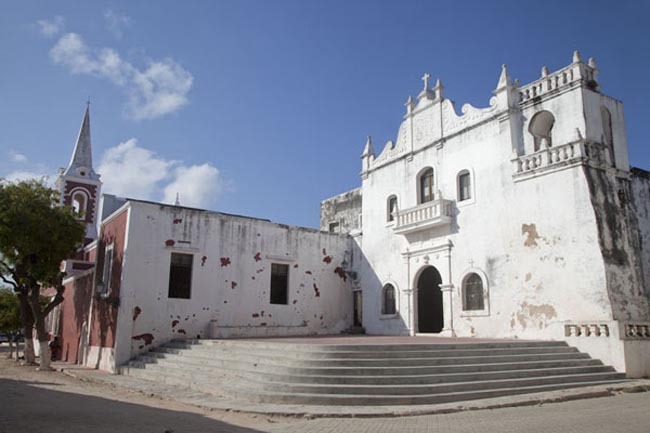 During the sixteenth century, the Fort São Sebastião was built, and the Portuguese settlement (known as Stone Town) became the capital of Portuguese East Africa as well as an important missionary centre. It withstood Dutch attacks in 1607 and 1608 and remained a major post for the Portuguese on their trips to India. 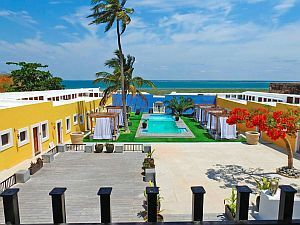 Overnight in the vicinity of Ilha de Mozambique. Today we have a tour of Ilha de Mozambique. The island in itself is not very big, about 3 km long and between 200 and 500 metre wide. Most historical buildings are at the island's northern end. The majority of the residents live in reed houses in Makuti Town at the southern end of the island. We have the full day here to explore this tiny island on foot with its collection of historic buildings. The Palace and Chapel of São Paulo, built in 1610 as a Jesuit College and subsequently used as the Governor's Residence, is now a museum. The Museum of Sacred Art, housed in the Church of the Misericórdia run by the House of Mercy, displays an excellent Makonde crucifix. Other historic buildings include the Church of Santo António, the Church of the Misericórdia, and the Chapel of Nossa Senhora de Baluarte. The island, now entirely urbanised, is also home to several mosques and a Hindu temple. During our time here, we will also board the Arab style dhow boats to explore one of the neighbouring islands and spend time in the local town. Today we return by road to Nampula from where we fly to Johannesburg* in order to make tomorrow's connection to Blantye. If you're looking at a map, it might seem to make sense to access Malawi by road from here, but this is a rather daunting prospect with questionable roads and other logisical challenges. To play it safe, we'll complete this journey by air, which in itself is necessarily convoluted! * South Africa only requires a passport for entry (no visa or fees required). Please ensure that you have enough blank pages in your passport. At least two side by side (NOT BACK-FRONT) pages will be required. Overnight in Johannesburg (airport area hotel). Today we fly to Blantyre in southern Malawi. The city of Blantyre is the largest urban area in Malawi and the country's commercial capital. Now with a population in excess of half a million, this settlement has its origins with the Scottish missionaries from the time of David Livingstone (it is named after Livingstone’s birthplace in Scotland). Today it is unquestionably the centre of Malawi's industry and commerce. Today we transfer to the Thyolo region and Game Haven in the Chimwenya Game Park. Located between Blantyre and Mount Mulanje in what is arguably the most scenically beautiful region of Malawi, the town of Thyolo serves as the administrative capital of the Thyolo District. The area is best known for its historical tea and coffee estates some of which date back as far as the early 1900s. With its tidy landscape of undulating hills and immaculately kept tea and coffee estates, the Thyolo area is a pleasure to explore, where magnificent views of Mount Mulanje and the Shire River Valley in the distance are a highlight. Established in 2006, Game Haven Lodge within the Private Chimwenya Game Park has been the realization of a dream that started in the 1980’s. To create a unique retreat within Malawi which would combine tourism and wildlife conservation while supporting the surrounding communities in Bvumbwe. Their golf course, at Mbawa Country Club, features stunning views of the natural landscape with several species of animal wandering through the course located within the game park. 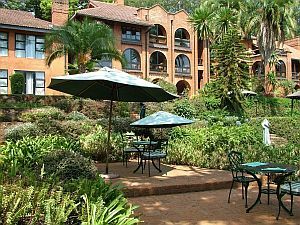 After breakfast at Game Haven Lodge we will travel to the beautiful Zomba Plateau and Sunbird Kuchawe Inn where we spend the night. Situated in southern Malawi, the city of Zomba formerly served as the colonial capital of the country. It is known for its Colonial architecture and its location on the southern slopes of the scenic Zomba Plateau. It serves as an excellent base for visitors to explore the surrounding area. The rugged wilderness of lush forests, glistening lakes, and cascading waterfalls lends itself to a variety of adventurous outdoor activities. Sunbird Ku Chawe is Malawi's premier mountain resort and one of the very best places from which to enjoy the splendor of a magnificent scenic country. 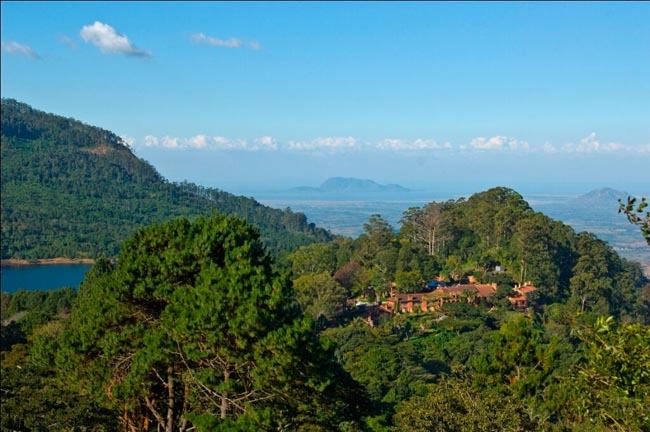 The hotel sits on the edge of Zomba Plateau, which rises to nearly 2200m (7,000ft), with the highest peaks on the rim forming a saucer shaped bowl. Around this rim are some of the most stunning views in Africa. Overnight in the Zomba Plateau region. Today we continue to Liwonde National Park for our Malawian safari experience. After breakfast we will be transferred to Mvuu Camp situated right in the National Park where we will spend three nights. Mvuu Camp is a comfortable camp with a lovely location right on the riverbank. Mvuu Camp offers excellent game viewing in Malawi's premier wildlife haven. Guests can look out from the property and watch as numerous game come to drink from the Shire River, which runs alongside the camp. Crocodile and hippo call the river home and are joined by a wide diversity of birdlife. Our days at Mvuu Camp are spent searching for game by road and boat, with excursions in the morning and again in the late afternoon. 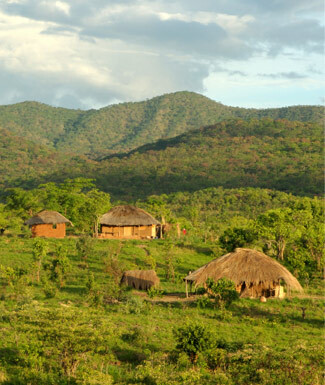 Liwonde National Park is situated at the southern tip of Lake Malombe in southern Malawi. Although Liwonde is one of Malawi’s smaller parks, it is arguably the most popular of all the game parks in the country. Malawi’s main river, the Shire, forms its western boundary and is the reserve’s lifeblood. 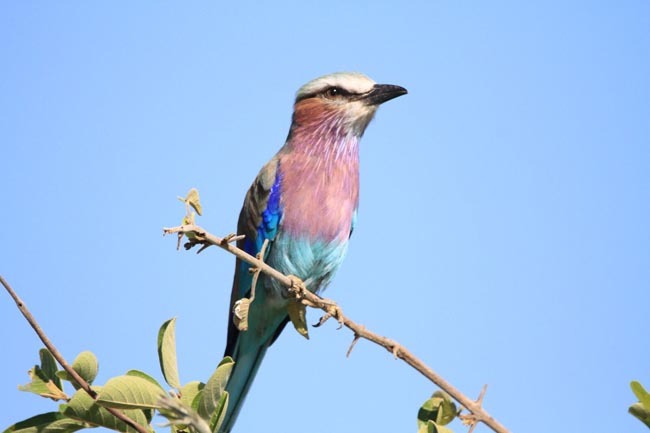 With plentiful wildlife including hippo, kudu, elephant, crocodile and and even black rhino, the park had become one of Malawi's premier wildlife-viewing destinations.The birding is excellent and a favourite sighting among birdwatchers is the Pel’s fishing owl. Today we enjoy morning and afternoon excursions in the park; your guide will fill you in on tomorrow's activities. After spending some amazing days at Mvuu Camp, it is time to experience the fresh waters of Lake Malawi. We will be accommodated at Makokola Retreat for the next two nights, located right on the shores of Lake Malawi. Lake Malawi is the crowning jewel of this beautiful country. It is one of the largest, longest, and deepest freshwater lakes in the world. 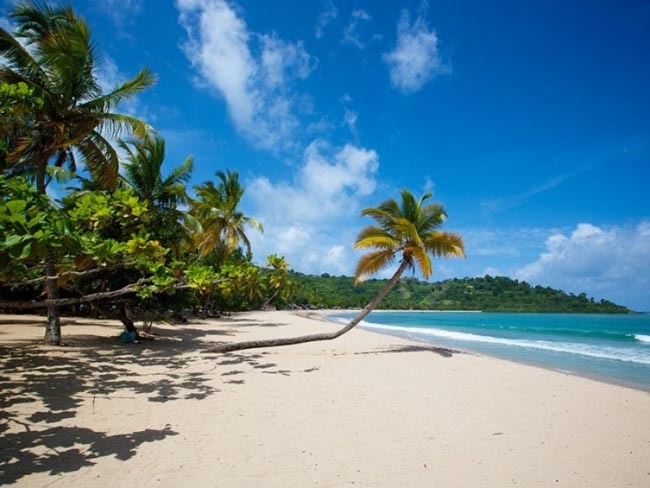 Numerous fishing villages are scattered along its length but there are still vast stretches of uninhabited golden beaches. Known as ‘The Lake of Stars’, the natural beauty of Lake Malawi draws travellers from around the globe. It has more species of fish than any other freshwater lake in the world, boasting over 600 species in the national park alone. The 590 kilometre long, 85 kilometre wide Lake is the third-largest lake in Africa, occupying one-fifth of Malawi’s total area. With a depth of 700 metres, it is incredibly deep with its lowest point reaching more than 200 metres below sea level. Visitors can look forward to spotting myriad wildlife in and around the lake including, hippo, crocodile, fish eagles, and over 1000 species of brightly-coloured endemic cichlid fish. 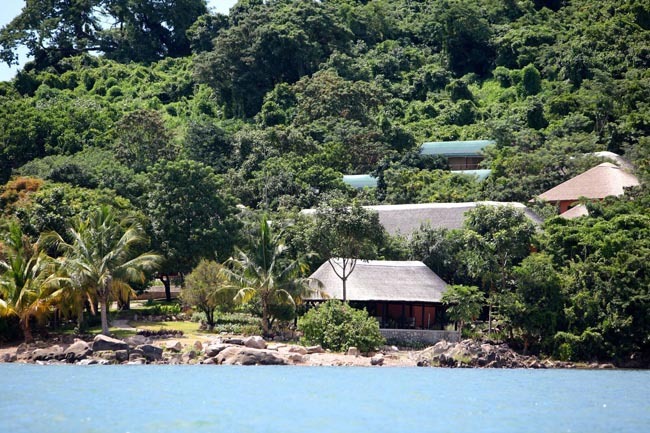 Our retreat features brilliantly green gardens and rooms perched along the shores of Southern Lake Malawi. This showpiece property captures the essence of African design, culture and tradition. Your Tour Leader will advise of the activities available to you; or you could enjoy a relaxing day at leisure in this beautiful spot. Today is at leisure to enjoy this lovely, relaxing place, perfect for catching our breath on this busy trip. Today we transfer the the capital, Lilongwe, for our last night in Malawi. This is the largest city in Malawi (population-wise) and a major economic and transport hub. It features thriving markets, lush green spaces, and a rich cultural heritage. While the city has all of the twentieth-century urban developments, it retains the appearance of a traditional African settlement. Our hotel features a superb location, the only lodge in the world where can be in the centre of a capital city in the middle of a pristine forest. This morning we will travel by road to South Luangwa National Park and Chichele Lodge for the last three nights on our tour. Bordering the Luangwa River, the northern and southern Luangwa National Parks contain some of the most breathtaking and untouched wilderness in Africa. As a result of this and the park's successful anti-poaching campaigns, the area has developed into a world-renowned wildlife haven. The South Luangwa National Park is renowned for walking safaris, which allows visitors to view elephant, hippo and even lion close-up under the supervision of professional and knowledgeable armed guides. 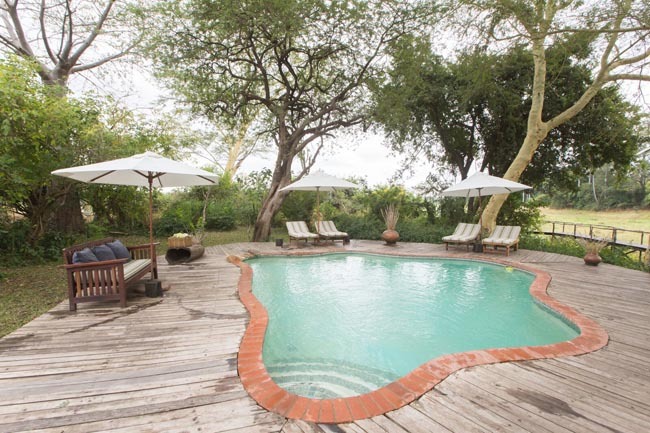 Our magnificent historic game lodge is set among lush primeval forest, providing panoramic views across the game-rich valleys of South Luangwa. On a magnificent hilltop location, Sanctuary Chichele Presidential Lodge was once the personal retreat of Zambian President Kenneth Kaunda. We will spend our days at Chichele Lodge searching for game on drives in the morning and late afternoon with an experienced guide. Today we enjoy two excursions through the park. In 1904 a Luangwa Game Park was declared on the eastern bank of the river, but this was not maintained. Then in May 1938, three parks were defined in the valley: the North Luangwa Game Reserve; the Lukusuzi Game Reserve; and the South Luangwa Game Reserve. 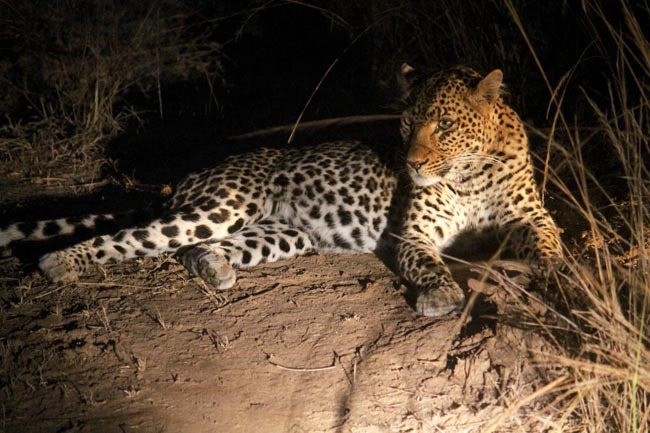 Nesting at the tail end of the Great Rift Valley, in the Luangwa Valley, the park is wild and remote with an abundance of wildlife that is rarely seen in other game reserves. This huge area of pristine wilderness is home to a large variety of game and birds, as well as the bigger predators. The survival of the valley depends on the winding Luangwa River, crowded with hippo, crocodile and wading waterfowl. Few parks can match this phenomenally high game density, nor do they have the ability to show visitors such remarkable wildlife in such remote and isolated wilderness. Because of its phenomenal richness of fauna and flora and its unspoiled nature, the game park is considered the best in Africa. It lies in the 700 km (435 mile) long gently sloping rift valley through which the Luangwa River periodically inundates its alluvial flood plains, leaving oxbow inlets and lagoons along its old channel. The rich volcanic soils support large grass plains and miombo and mopane woodlands that allow high densities of game. 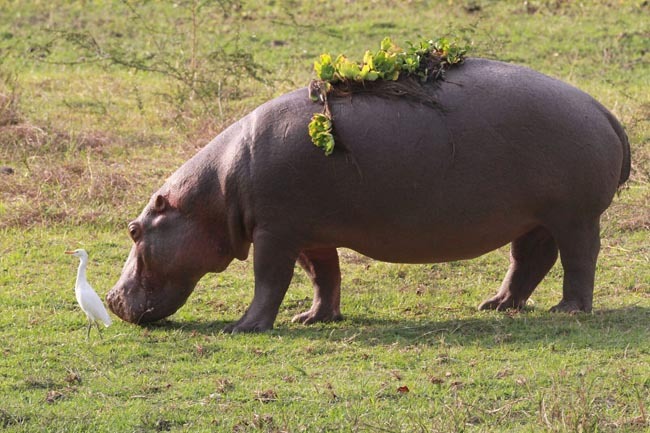 Huge herds of elephant, hippo, buffalo, impala and puku are commonly encountered. There are big prides of lions, a very high density of leopards and the largest number of crocodiles on any river in Africa. Specialties include the striking Thorneycroft's giraffe and Cookson's wildebeest. 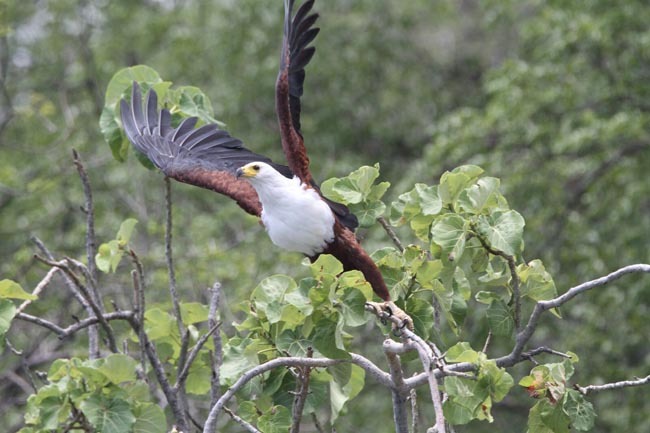 Bird lovers revel in the mixture of over 400 species of birds from across eastern and southern Africa. In order to make it back to Lililongwe to connect with homeward flights in time, we'll have an early transfer this morning. We have not included the cost of an overnight in Lilongwe; for those whose flights leave too early in the day for us to make it in time, we can book a hotel night here for flights leaving tomorrow. Because this tour was developed well over a year in advance, this situation will become clearer in early 2019 and further plans can be made accordingly. 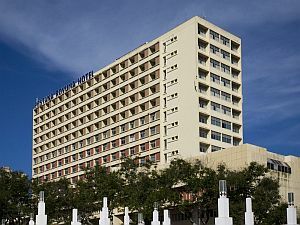 Set 2 km from Maputo ...	this understated hotel is a 5-minute walk from the Tunduru Gardens and a 7-minute walk from the Cathedral of Our Lady of the Immaculate Conception. Relaxed rooms with African-inspired decor offer free Wi-Fi, flat-screen TVs, safes and soaking tubs. 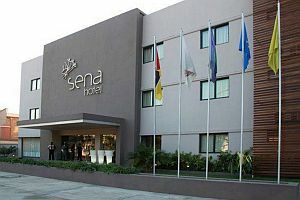 Set within a 15-minute walk of Macuti Lighthouse and Shipwreck in Beira, Sena Hotel Business & SPA provides an outdoor ...	pool and a garden. Among the facilities of this property are a restaurant, free shuttle service and a 24-hour front desk, along with free WiFi throughout the property. Villa 33 is a lodge situated in a relaxing, lush environment just outside the hub of Blantyre. The property is ...	high in the region region for its beautiful gardens, patio, ambiance and rooms, as well as great food, and friendly attentive staff. This serene, beautiful 500 acre game park and lodge is set in one of the last remaining indigenous forests and ...	of the Shire Highlands of Southern Malawi. 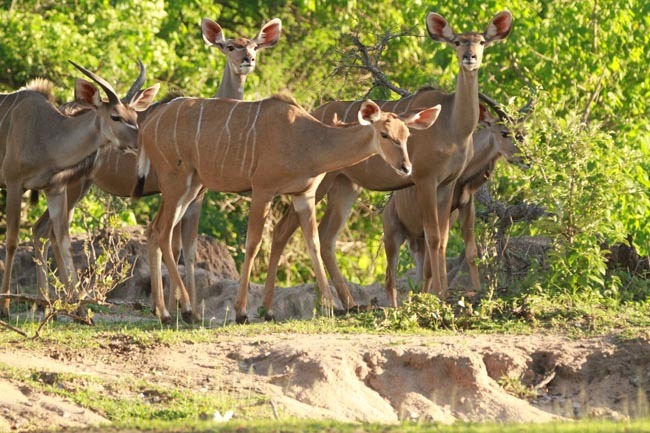 Experience exceptional viewing of wildlife which include Giraffe, Zebra, the “big” 6 antelopes, Kudu, Eland, Roan, Sable, Nyala, Waterbuck and for birdwatchers, prolific bird life. Sunbird Ku Chawe is Malawi’s premiere mountain resort and one of the best places to fully take in the vast ...	beautiful countryside of Malawi. 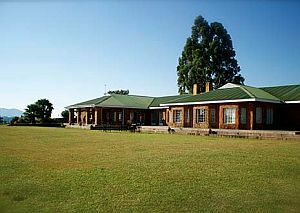 The hotel stands overlooking the Zomba Plateau which rises to nearly 2200m above sea level. Around this hotel are some of the most stunning views to be seen in all of Africa. Discover a majestic vision of beauty hidden in the heart of Malawi. The hotel is but one and a half hours— drive from Chileka. Rooms are en suite, air-conditioned, have digital satellite television, international direct dialing, Wi-Fi internet, email facilities and 220 volts power points (British standard). Mvuu Camp overlooks a broad stretch of the Shire River (pronounced Shiree) in Liwonde National Park. The camp is a ...	mix of stone and canvas chalets and specially-designed family tents, which total 14 units. 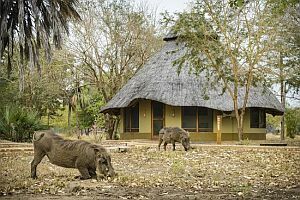 An impressive thatched dining and lounge area is situated between two enormous baobabs, and dinners are sometimes held under the stars in a specially constructed boma. 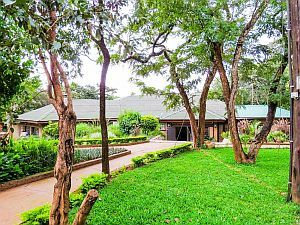 This Eco-Lodge is in the heart of Malawi's capital city Lilongwe. The lodge offers superior food and accommodation in a ...	secluded woodland setting. Breakfast and dinner daily. 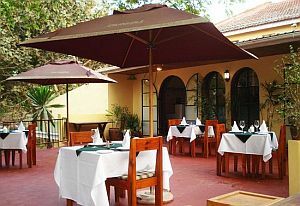 Most lunches are also included in Malawi & Zambia (as per tour itinerary). All accommodation, transport, park fees, internal flights, sightseeing and entrance fees for sites noted as 'visited' in the detailed itinerary. Gratuities for drivers, local guides, restaurant staff, and porters (if available). Airport transfers for "Land & Air" customers arriving/departing on tour dates, or arriving early/departing late and extra hotel nights booked through us. International airfare to/from the tour. Tour Leader gratuities, some lunches, drinks, personal items (phone, laundry, etc), international air taxes (if applicable), visa fees (see below), and any excursions referenced as 'optional'. Airport transfers for Land Only customers. Optional trip cancellation insurance. Our post-reservation trip notes offer further guidance on shopping, visas, an locally-paid departure taxes. VISAS: All three countries require visas, all of which can be acquired upon arrival. Please budget approximately US$250 per person for on arrival visa fees (further details in post-reservation package). South Africa (where we spend one night for flight connections), does not require a visa. Mozambique will feature tropical conditions typical of coastal lowland regions at this latitude. This section of the trip will be the hottest with considerable humidity (thank goodness for our fully air-conditioned transport and hotels!). Malawi and Zambia will feature highly-variable conditions depending on aspect and elevation. Humidity will not be oppressive as it was in coastal Mozambique, but we will encounter some heat, especially in South Luangwa at the end of the trip. Conditions in Malawi & Zambia will be transitioning from the hot/dry season to the cooler/wetter season; it can be hot and dry like October generally is, or it can see the season's first downpours. Often it's a very interesting month as you can see both patterns on successive days. Our modes of transport will vary widely on this trip. Generally-speaking, our journeys from A-B (overnight point to overnight point) throughout will be accomplished via a single bus for space for all passengers. At locations where we have wildlife viewing excursions, these activities will be accomplished using each lodge's 4x4 vehicles with space for 3-6 (+/-). Internal flights via local scheduled carriers. This tour relies on infrequent air schedules which can change. If they do, some itinerary adjustments may be required. Though this tour and our activities throughout cannot be considered "strenuous" per se, our difficulty "level 2" rating refers to its ambitious nature, plenty of moving around, remote locations, airports at which you must manage your own baggage, some long days and early starts, heat, dust and bad roads. We will be in areas where malaria is endemic; please contact your local travellers' health clinic for advice on this and other precautions. This tour visits remote locations with limited access to medical services; comprehensive travel medical/evacuation insurance is strongly recommended. As always, an adventurous spirit and flexibility are important items to pack! Accommodation provided on this tour varies greatly depending on the remoteness of our location. Hotels in larger towns and cities are well-located, secure and modern properties of international standard. Generally, hotels and lodges are of a mid-range standard -- surprisingly comfortable given that some are in the middle of nowhere! Please note that, due to the high cost of single accommodation in the region, if you book on our share program and we fail to pair you, there is a 'mandatory' charge equal to 100% of the regular single supplement. To view full details/photos of the accommodation used on this trip, please click on "Map & Hotels" tab elsewhere on this page. Tour Leader throughout; local guides at various locales, local safari/wildlife experts, multiple drivers.